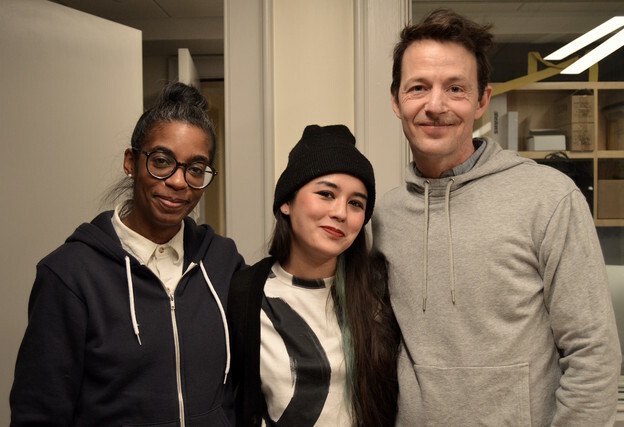 Simone White, Sophia Le Fraga, and Andrew Whiteman joined Al Filreis to discuss a poem by Ed Dorn called “The Sundering U.P. Tracks.” It was published in 1967 as part of The North Atlantic Turbine. A note by Dorn atop the verse indicates that it stands at “the end of” that work. A coda? A polemical postscript? The recording of the poem, available at Dorn’s PennSound page, is undated and (as yet) unsourced. For the purposes of our discussion we assumed that the performance was roughly contemporaneous with the publication of the poem — so, let us say, late 1960s or early 1970s. Listeners to the episode will sense that the apparent importance of that dating is not entirely clear to us, but that in the emergence of our political reading of the poem we situate it as a late-1960s reflection back on a slightly earlier moment of realization and radicalization: it recollects and with a bit of distance and greater knowledge recalls the turning-point summer of 1965, when Dorn’s collaborator, photographer Leroy McLucas, came to Pocatello only to discover that because of the racial dividing line he had to be housed on the other side of the tracks. The racial trope and idiom of the US East reverts to its literal origins in the making of the US West. And there it is: the key fault line, a built-environment actuality and metaphor. The drawing of a line is the sundering that is endemic to the use of Right of Way to abet the westward expansion of American capital. And Ed Dorn, as the four PoemTalkers iteratively and collaboratively (and to some extent, for some of us, grudgingly) come to realize, is ready rhetorically and politically for a counter-expansion that rereads American generations of Manifest Destiny, monopoly, segregation, and local oligarchy on one hand, and, on the other, “summer firebombs / of Chicago.” The latter are responses to “the old isolator / that ambassador at large,” the younger Harriman, who as “distinguished elder statesman of the foreign-policy establishment” and member of the so-called Wise Men under JFK and LBJ points toward a technocratic globalized version of robber baronism. “[T]he rapacious geo-economic surgery of Harriman,” in the poem’s phrase, necessitates the synthesizing politics of the 1960s, and Dorn here realizes that that analysis begins with race. There may be a grand environmental dimension to that synthesis too. Several times during our conversation Simone emphazies Dorn’s apparent search for vast geological and ancient terrestrial contexts that can help put the lie to the dividing line. “How many thousand years too late now / is that desire” — the vain longing, that is, to accept “my town in my fair country” as his without irony; to welcome Leroy McLucas truly to “stay with me”? The PoemTalk group must do some hard work with literary-political poetics here, observing for instance that 1965 was a critical point for US avant-garde poetry and for the Ed Dorn/Amiri Baraka relationship. 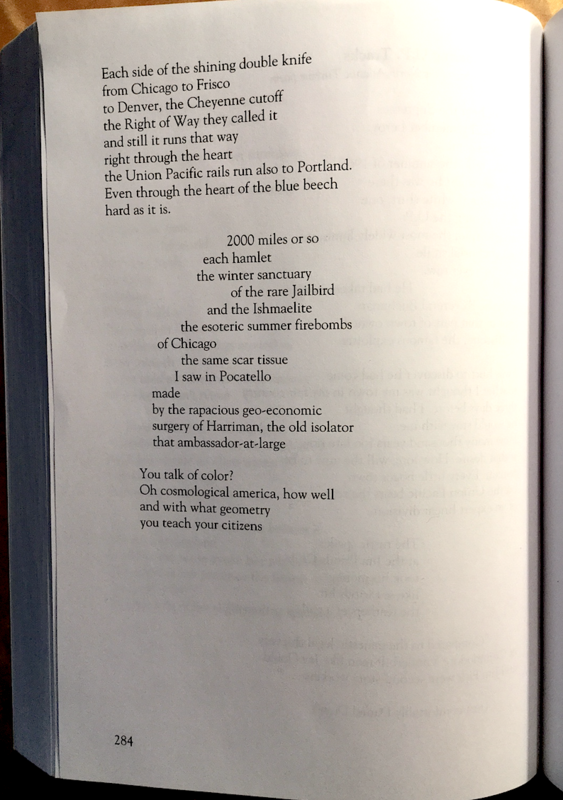 The poem’s convergence of McLucas and Jones — the two Le Rois/Leroys — also “bears the scar / of an expert linear division” that is thus not only the railroad coming through another American town but “cosmological America” overall. 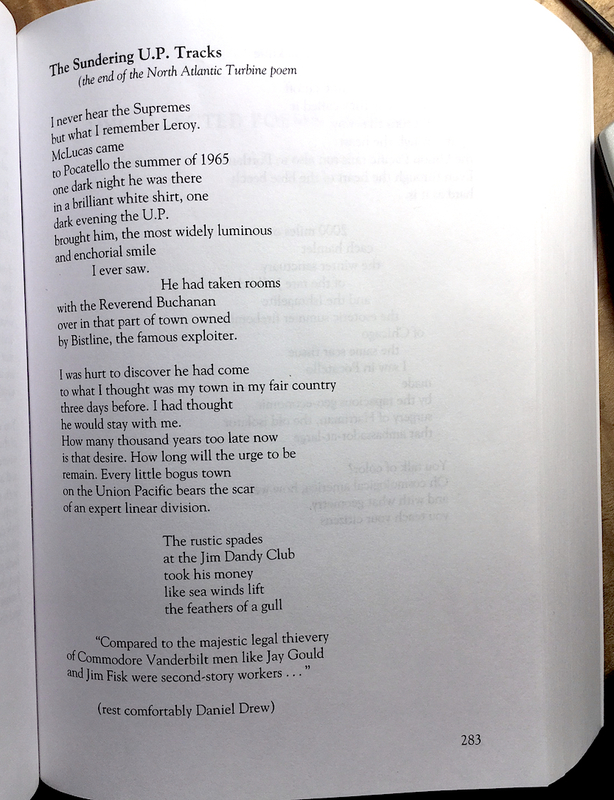 The images below show the two pages on which the poem appears in Edward Dorn Collected Poems, ed. Jennifer Dunbar Dorn (Manchester, UK: Carcanet, 2012), 283–84. Click on an image for a larger view. 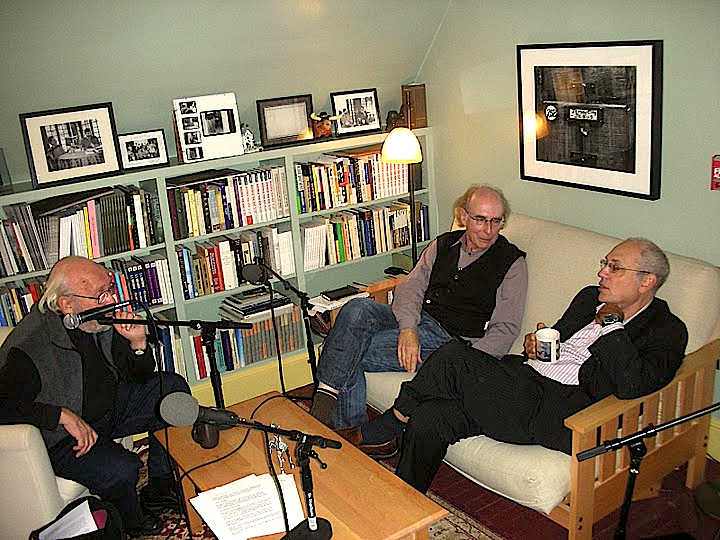 PoemTalk episode #101 was recorded in the Wexler Studio of the Kelly Writers House in Philadelphia. Our engineer and editor was Zach Carduner. We are pleased to say again that PoemTalk is a collaboration of PennSound, the Kelly Writers House, and the Poetry Foundation. You can subscribe to PoemTalk through iTunes. 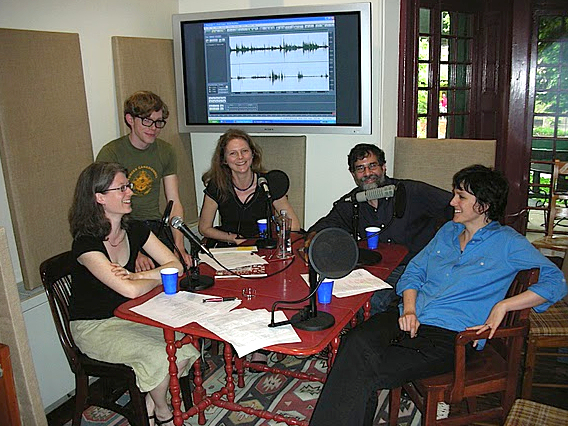 You can also download every episode at the Poetry Foundation website or here at Jacket2.